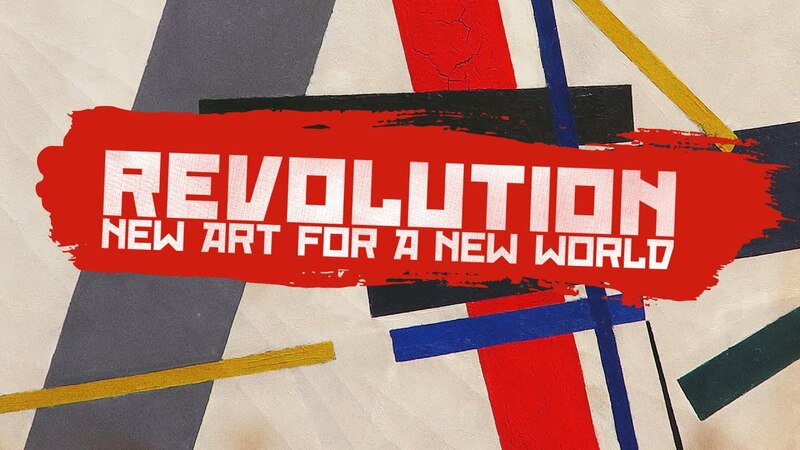 Directed by acclaimed filmmaker Margy Kinmonth, Revolution: New Art for a New World is a bold and exciting feature documentary that encapsulates a momentous period in the history of Russia and the Russian Avant-Garde. Drawing on the collections of major Russian institutions, contributions from contemporary artists, curators and performers and personal testimony from the descendants of those involved, the film brings the artists of the Russian Avant-Garde to life. It tells the stories of artists like Chagall, Kandinsky and Malevich--pioneers who flourished in response to the challenge of building a new art for a new world, only to be broken by implacable authority after 15 short years and silenced by Stalin's Socialist Realism. Yet these remarkable artworks survived and the Russian Avant-Garde continues to exert an influence over contemporary art movements. Revolution: New Art for a New World confirms this; exploring the fascination that these colourful paintings, inventive sculptures and propaganda posters retain over the modern consciousness 100 years on. "**** (4 stars) A visual feast of a documentary that describes how artists from Chagall to Kandinsky to Malevich rose in tandem with the Russian Revolution in 1917, Revolution: New Art for a New World also unearths long-hidden or banned work by painters whose legacy disappeared under Stalin." "[T]he commentary on the art itself is fascinating and the sad endings of most artists’ stories leave you wondering what might have been." "Revolution: New Art for a New World should delight art fans and historians across the globe. "